After the successful experience in the USA, Ventilation Systems expands the geographical application range of the VENTS CBF fans. In order to bring the company’s customers up to date, we will tell them what the fans actually are and what they can be useful for. The VENTS CBF range are centrifugal fans designed for continuous or periodic exhaust ventilation of shower rooms, bathrooms, sanitary rooms, kitchens and other residential and amenity premises with increased humidity level. 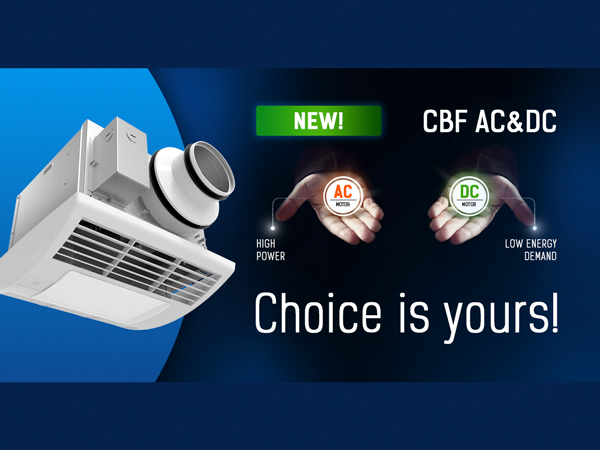 The CBF fans are powerful ventilation devices with an extensive list of additional options. When talking about the advantages of the CBF fans, the first thing to pay attention to is the simplicity of installation. In particular, the US users have mentioned the ease with which the device can be mounted using spacer brackets. The fans are used both in private houses and in multi-storey buildings. They can be installed directly into the standard single-pipe ventilation system, or they can be lead to any other part of the apartment (house) by means of air ducts. Air is ejected just as well via the outside walls as via the roof. The operating data of the VENTS CBF fans allow not only the removal of polluted air, but also the maintenance of a comfortable humidity level. Such functions are very useful for bathrooms, shower rooms, kitchens and other rooms with high humidity concentration or domestic fumes. 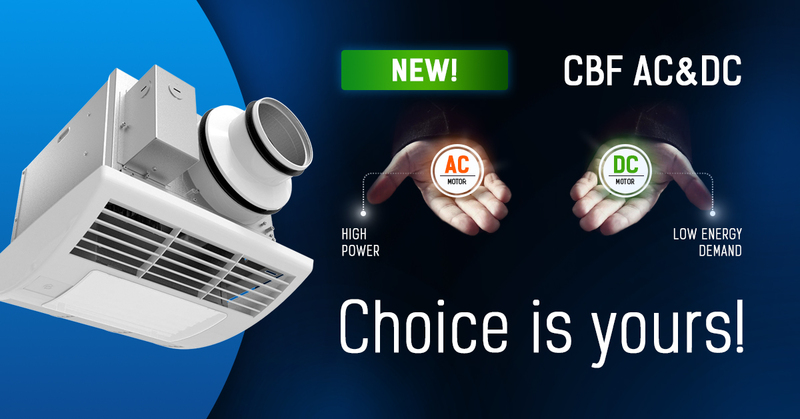 With a CBF fan the room is always saturated with fresh air, without unpleasant odours and moisture. In this way, the house is not threatened by the formation of mould and harmful microorganisms, which has a positive effect on the health of residents. Another important indicator of the efficiency of the CBF fans is the fact that no condensation accumulates during operation. The introduction of DC motors has taken the CBF fans to another level. The VENTS CBF DC devices combine high performance with low energy consumption. The wide speed range makes it possible to select the most acceptable air flow rate for premises of any space. The operation of a CBF fan with a DC motor takes place with the same low energy consumption at any speed. Particularly attractive for Western users in the operation of the VENTS CBF fans was a very low noise level. The fans work imperceptibly and practically noiselessly, which makes presence in the premises as comfortable as possible. In addition to the contemporary construction details, the VENTS CBF fans have a stylish, contemporary design that allows them to be harmoniously integrated into a wide range of interior styles. The series includes models with the low cost LED lamp with a pleasant light. It may be confidently said that the expansion of the regions where the VENTS CBF fans are used is a right and promising decision. The successful experience of using the VENTS CBF fans in the USA has marked the start of the series’ entry into the international market, and this will enable users around the world to set up first class exhaust ventilation in their homes.